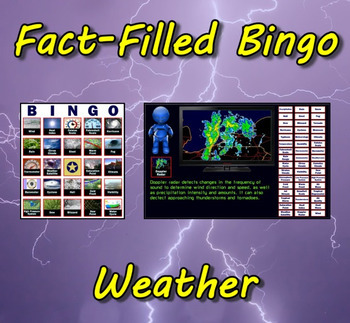 “Fact-Filled Bingo” is a computer program sure to bring excitement to your Weather unit. 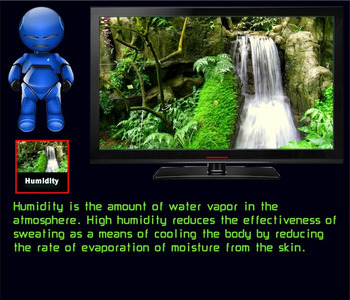 Instead of numbers, the talking robot calls out random weather types/instruments/phenomenon. 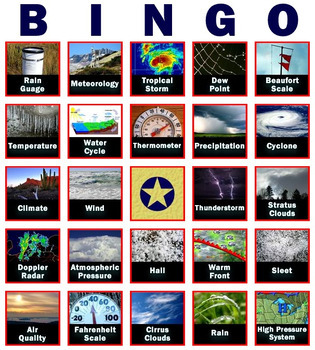 Forty bingo cards suitable for laminating are provided. Also included is the computer program “Fact-Filled Slideshow”. 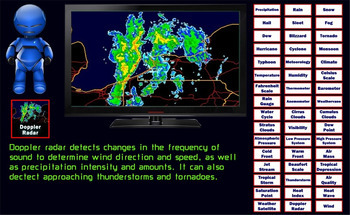 Hook up your classroom PC/Mac to a SmartBoard or projector to highlight 48 weather topics. Again the talking robot does the narrating. Both programs use text-to-speech technology to make the robot speak. As a bonus I’ve included the manual “Text-to-Speech” which teaches you how to make your PowerPoint presentations talk. A free online utility accepts your text and coverts it to a sound file, which in turn can be imported into slides. Ideal for the computer lab!